Thanks goes to all pilots for joining us in the sky over Slovakia mountains area and also thanks to the tasksetter Radek Miča (RUM). Big thanks goes to Miloš "Cadfael" Koch (MK) and his www.condorworld.eu for hosting Condor servers. Have a blessed and happy Easter, friends! Welcome to airport Ružomberok. Next virtual soaring contest is prepared for you - this time with name Liptov Shepherd 2018 - 2nd edition now. First edition of contest Liptov Shepherd we had in year 2010 in Grand Prix style. Liptov is an unofficial region in northern Slovakia, where town Ružomberok is located too. In the past shepherds were an inseparable part of Liptov, so we decided to put them into title of this contest. Length of tasks will be about 300 km, we will race in STANDARD CLASS (ASW28, Discus2, LS8) with PDA. Competition servers will always start at 20:00 CET/CEST (19:00/18:00 UTC). Overall results is simple count of all eight tasks. 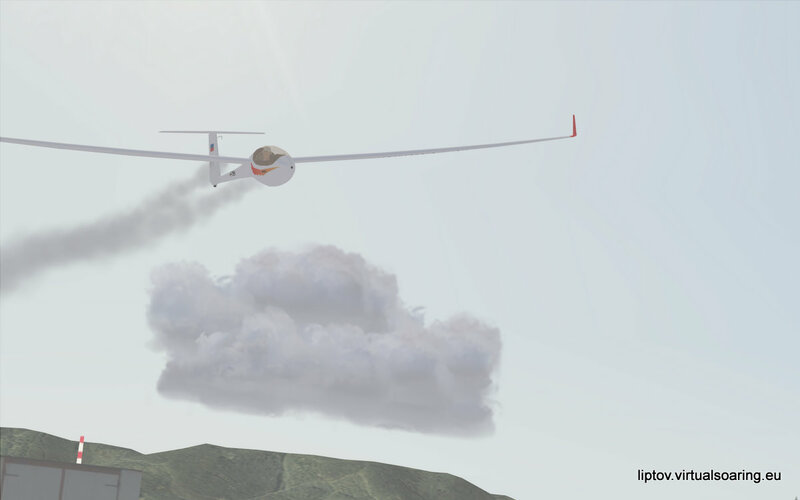 Attention: choose carefully glider type in registration - with registered glider type you have to fly all tasks! Server passwords will be published in briefing page. After each race you must send IGC file to be scored! More informations about competition in Rules section.